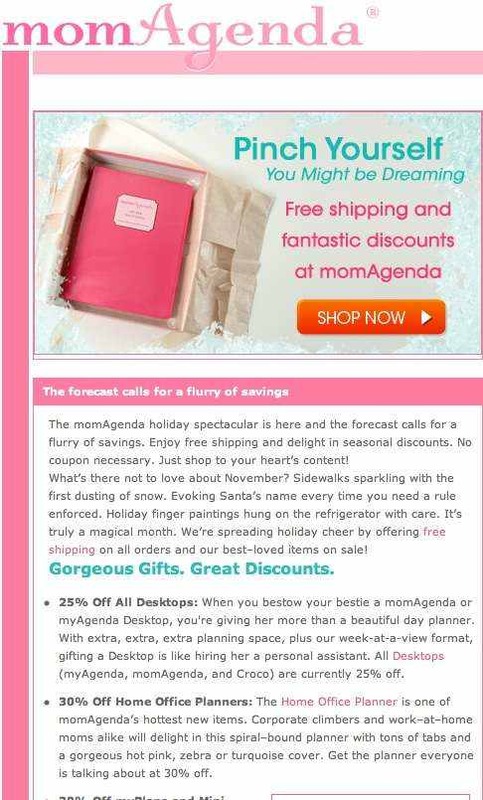 A closer look: At Portent, I wrote weekly newsletters for momAgenda. With precise copy catering to moms everywhere, substantially increased their newsletter open rates. It’s an accomplishment to get someone to open a newsletter and a quest I take very seriously. Discounts work. 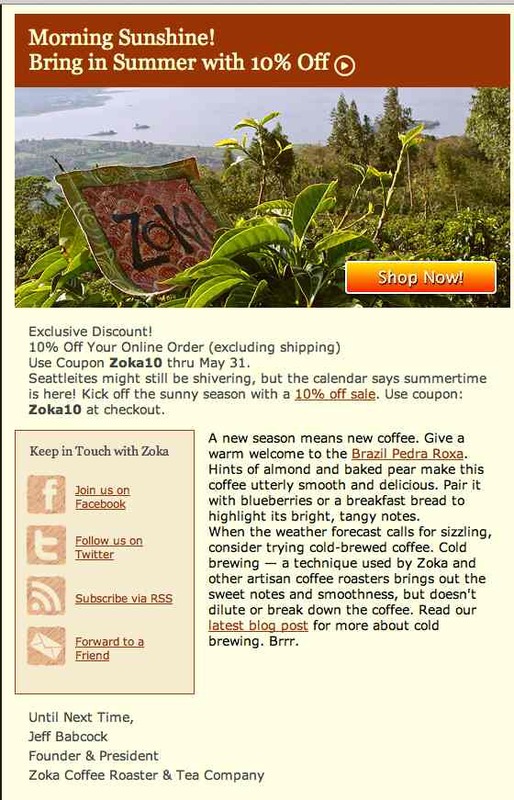 So does sunshiny copy along with bright photos and accurate descriptions of coffee.